There were crowds of people at the National Library of Australia today for their annual Open Day. On the way into the library I bumped into the author of You can do it Joey, Kerry Malone who had gone to listen to Holly Bidwell tell and preform her amazing stories. 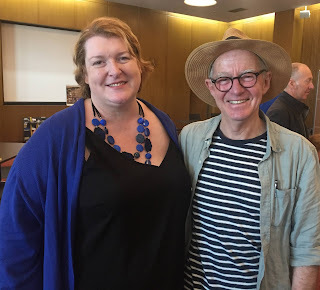 I met up with Tania McCartney and we were both delighted to be introduced to Ron Brooks, award winning author and illustrator. Ron had given two workshops earlier in the morning, coming to Canberra for a day trip all the way from his home in Huon Valley, Tasmania. Unfortunately I was not at the library early enough to participate in Ron's workshops. As an aspiring illustrator I'm sure I would have learnt a great deal from these workshops instead will have to study some of my favourite Ron Brooks illustrated books; John Brown, Rose and the Midnight Cat written by Jenny Wagner and two books written by Margaret Wild, Old Pig and Fox. 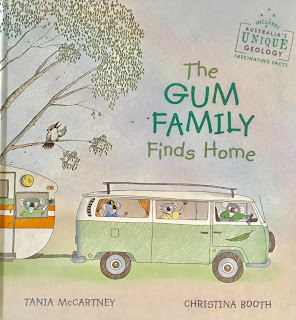 As part of the open day Tania McCartney read her new story The Gum Family Finds Home, illustrated by Christian Booth. This is the first time that Tania has read this story to children. They gathered around the storyteller's chair, sitting on sea of cushions, balloons in hand (the occasional one escaping - the balloons that is). 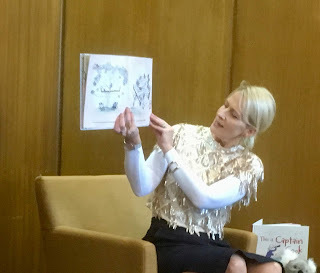 The children were very engaged and one gorgeous little munchkin was ready to give Tania an answer for all of her questions. Yes he was from Tasmania (No but his mum was). Koalas needed gum trees to eat gum leaves from and not gum nuts. 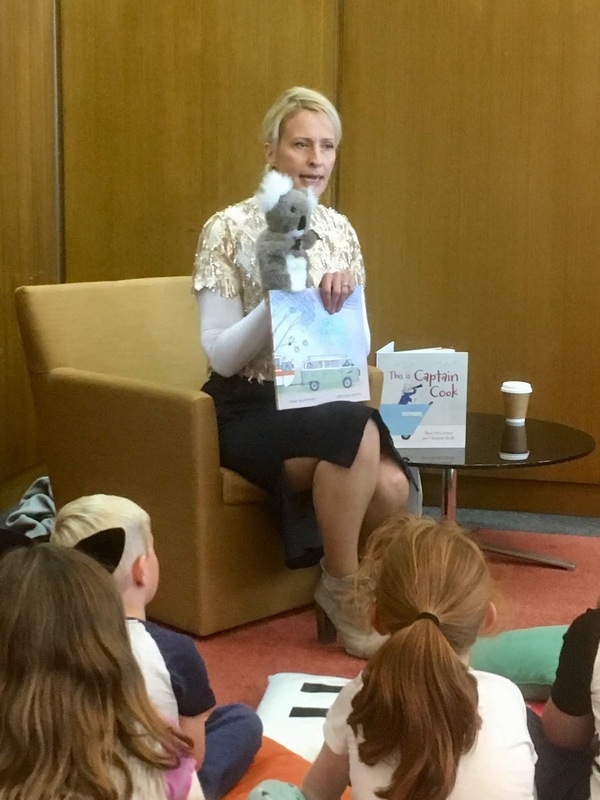 Tania also read two other stories This is Captain Cook and Australia Kids through the Years. Then Tania went down to the bookshop to sign books. 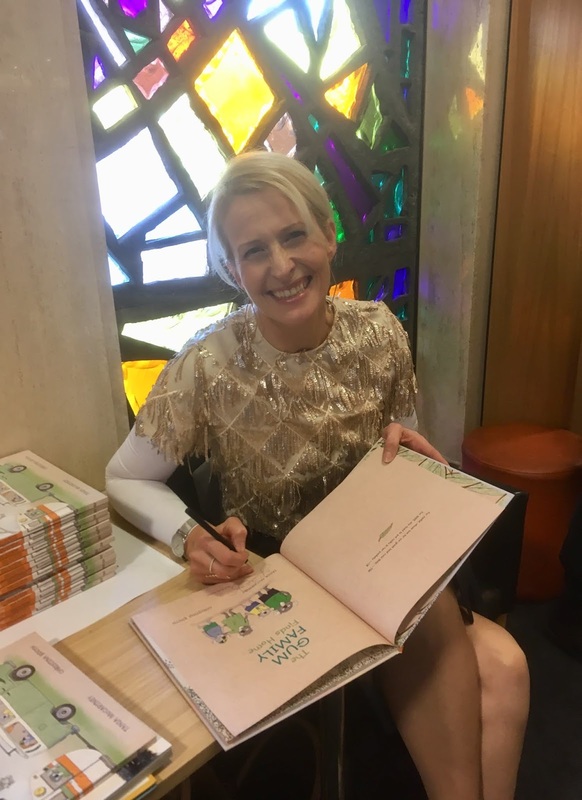 There Tania and I both had a glorious chat to the daughters of author Emma Allen, they are definitely storytellers in the making. 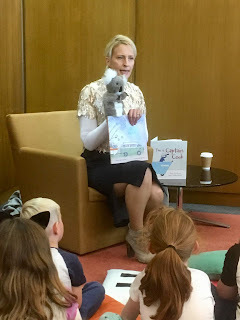 Emma was scheduled to read her new book Digby and Claude, illustrated by Hannah Sommerville, to the children gathered on level 4 of the library but I didn't have time to stay to listen. Such a delightful day, listening to stories and seeing friends. Thanks to everyone at the NLA especially Susan and Candice. Thanks Tania for taking the photo of Ron Brooks and I and the one of us.